My pal Meg that I met at the 4th of July party was back in town for a few days and we had lots of fun wandering around town trying strange food. One of my favorite is the “party-in-a-bowl”, shown above. 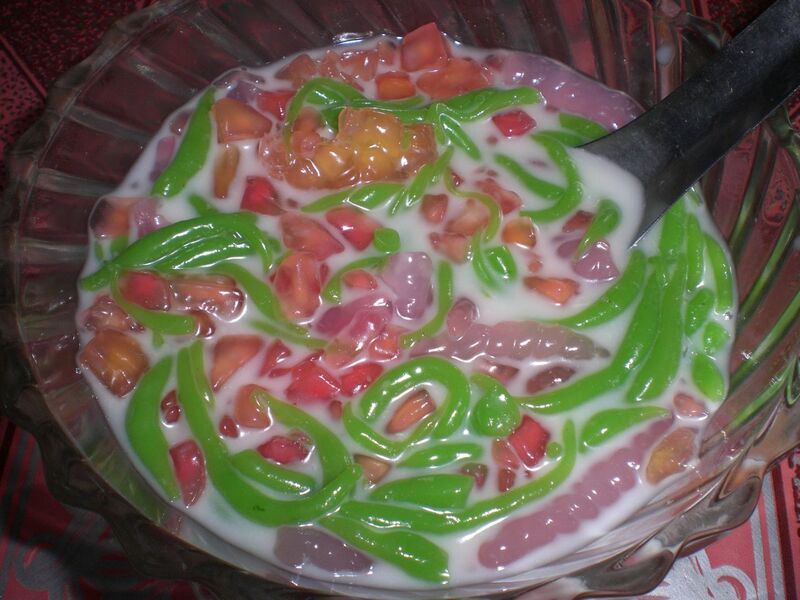 It’s basically coconut milk, mixed with sugar syrup, and then they can put in any variety of additional items, including these green worm-like jelly things that I like, but anything from corn, croutons, black beans, sticky rice, to cantaloupe, and a bunch of other stuff I couldn’t recognize can also be thrown in. It’s pretty delicious. I have also discovered that there is a dearth of Lao cooking classes in this city. As far as I can tell, there is only one place that actually offers classes for foreigners, and we had signed up to attend on Saturday. Firstly, they won’t do classes for individuals, it has to be two or more people, which is annoying. When we arrived at the place, they gave us a list of 5 dishes, and we were told to pick 3 that we wanted to make. The entire group had to come to a consensus on the dishes to be made, which was problematic as we had 1 vegetarian in our group, and another girl we didn’t know who had shown up to take the class. The dishes we could choose from were: Chicken curry; Laap (Chicken, fish or pork salad); Spring Rolls; Papaya Salad; or “Lao Salad”. We asked if we would be making our own curry paste, but they informed us we would be using pre-made paste they had bought. That’s not very exciting. We had already made Laap and Papaya salad, and Spring rolls (which are actually Vietnamese, not lao), are basically rice wrapper stuffed with lettuce and a few other things, there’s not really any “cooking” involved. “Lao Salad” is basically just lettuce with mayonaise on it. So, the class was a total bust, and instead we went to the riverside and watched some ladies make “fried sticky rice ball salad”. I have discovered that the secret to all Lao cooking is adding copious amounts of MSG to everything. So, if I do manage to find a quality cooking class, I will surely post about it. When I have some time, I will also post some recipes for Fish Laap, Fried Sticky Rice Ball Salad, and Papaya Salad.